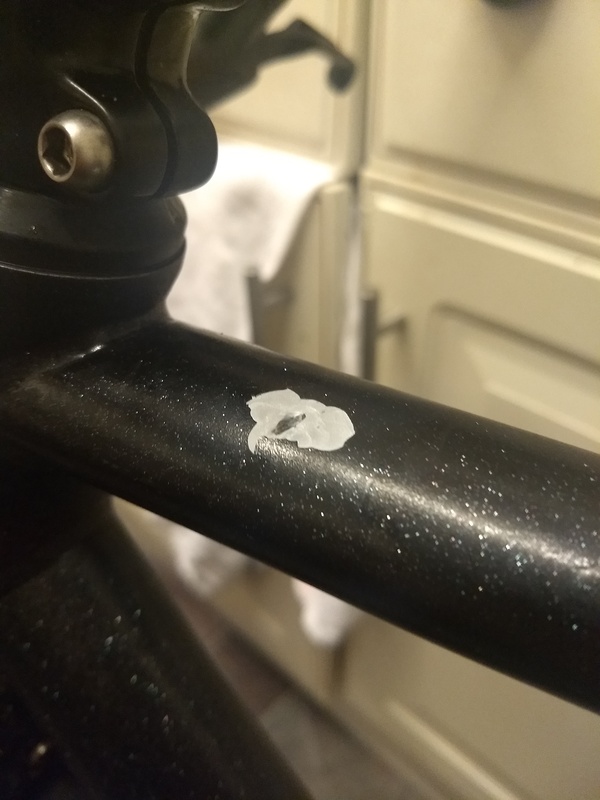 fell of my bike yesterday, the stem swung around into my top tube and made a small dent apart from that everything seems sound and have rode it since. the frame material is titanium. thinking it will be ok, but any thoughts or precautions/fixes?